Each quick write includes a beautiful stock photo that can be printed or projected. Need to save ink? Project the photo and print the alternate page (included) with directions but without the photo. 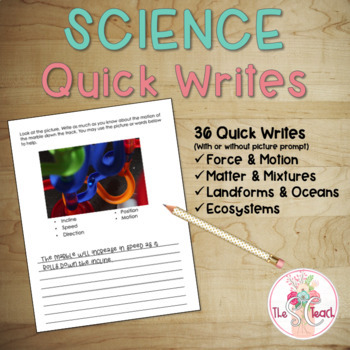 *These writing prompts fit perfectly with SC 5th Grade Science Standards.